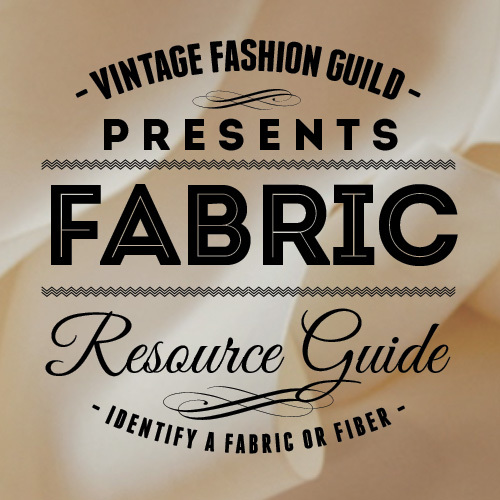 The information we most want to know about a fabric is what it’s made of; knowing this helps to determine for a wearer or sewer many of a fabric’s characteristics. There are a number of tests, some traditional but potentially inconclusive (such as dampening and creasing a fabric to see how it behaves) and some quite scientific but not accessible to the average person (exposing yarns to certain chemicals and examining them under a microscope). By far the most accessible test is burning. Burning fibers takes practice, and you must start with a little caution. Tie long hair back out of the way. You should burn over a sink or bucket so you can allow the potentially molten fiber to drip safely, and drop your sample if necessary. You need a pair of tweezers to hold a small fabric swatch, and a lighter. If you burn matches of any sort you will pick up the scent of burning paper or wood, throwing you off for discerning the burning fabric’s odor. If you are testing a finished garment, find an inconspicuous place to cut a small sample, usually a seam allowance. Even a few yarns are “readable” with experience, but a piece of about 1” x 1/4” is ideal. Hold one end of the fabric with the tweezers and slowly expose the other end to the flame of the lighter. Notice if the fabric readily burns or takes some effort to light. Also, note if the fire burns out or continues until all the fabric is burned. Smell the smoke as the fire goes out. Finally, when the sample is cool enough, feel the residue and note its color. Compare your findings to the standards in the burn chart, below. Of course, many textiles are made of fiber blends. Pull apart warp and weft yarns and burn them separately, as the blend may be as simple as one distinct fiber in the warp, another in the weft. Another test is to untwist an individual yarn and burn the plies separately. In both these cases, try to bundle and twist together like threads so that you have a swatch of sufficient density to burn accurately. Other blends may seem inconclusive, but feature a “top note” that is discernible—such as the “burning feathers” odor of silk. Even knowing part of the fiber is helpful. To train yourself about how a fiber burns, try taking clippings of known fabric samples and get used to each sample’s characteristics when burned. Several factors may effect how a fabric burns, including finishing treatments, density of the weave, and even the dye used. Your senses also will help determine a fabric’s fiber content without burning, given a chance to learn. With experience, silk, wool, rayon, polyester, acetate— all fibers, are discernible just by look and feel. Spend time handling known fabrics; keep your own swatch book to compare. If you have a chance, be taught first hand: You may be fortunate to find a person who is knowledgeable about textiles and can guide you. Experience with a fabric mentor could make a complex project much easier and more memorable. One technical test of fiber content available to the average person is microscopic examination, using a relatively inexpensive hobbyists’ or children’s microscope (just 100x magnification is plenty for this purpose). Photos of magnified textile fibers can be seen in books and online. On another level, a technical evaluation of solubility uses hazardous chemicals to test fibers. Generally these tests are only run in laboratories. One test of this kind, though, is available to the average person—using acetone. (Look for pure acetone among nail polish removers.) At room temperature, acetate will dissolve in acetone (brush it on with a cotton swab). Triacetate will disintegrate. Modacrylic and vinyon will soften.